Escape to Wales for a lovely little break in tranquil surroundings. 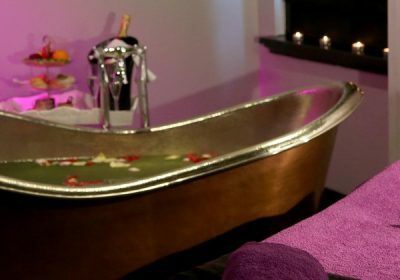 If you’re looking for a relaxing getaway then look no further than this great deal over at Groupon for an Overnight Spa Break at Ruithin Castle with a beautiful dinner and breakfast the next morning. 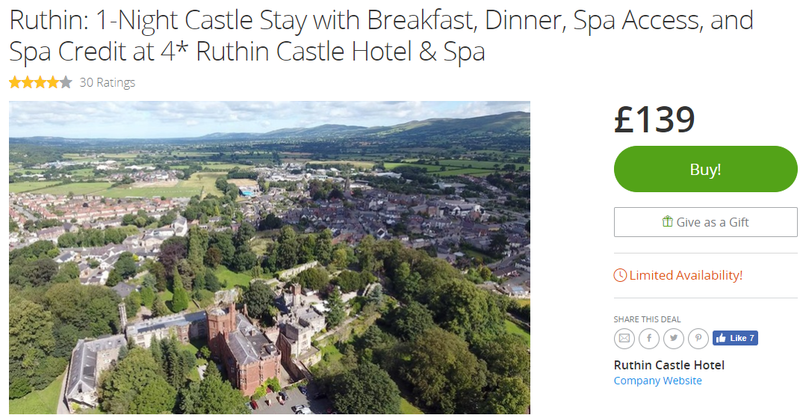 Nestled in Ruthin, the four-star Ruthin Castle Hotel and Spa lies in the region of Valle Crucis Abbey and Llangollen Canal Trail in North Wales. Steeped in history, the castle was originally built for King Edward I and later on refurbished and converted into a hotel in the early 1960s. One of its most notable guests since was HRH Prince Charles. Featuring the original underground dungeons and moat, with appropriately themed decor and rooms designed to reflect the character of an authentic Welsh castle, it helps visitors indulge in the extraordinary atmosphere. Many of the rooms offer views of the gardens, Castle grounds, open fields or woodlands. Guests can benefit from a relaxing atmosphere of the spa, with access to a sauna, steam room and gym, and enjoy massages, body treatments and facials. The hotel’s renowned Medieval Feasts restaurant offers an opportunity to experience themed medieval dining and entertainment. Visitors can also enjoy a meal at Bertie’s Restaurant, or a drink at the oak-panelled Library Bar. In the market town of Denbigh, visitors may admire historic sights such as Denbigh Castle, Burgess Gate, St Hilary’s Tower, and Leicester’s Church. Outdoor pursuits also include golfing on the National Championship course set along the River Dee in the Vale of Llangollen, horse-drawn boat trips and hiking in the Berwyn Mountains.